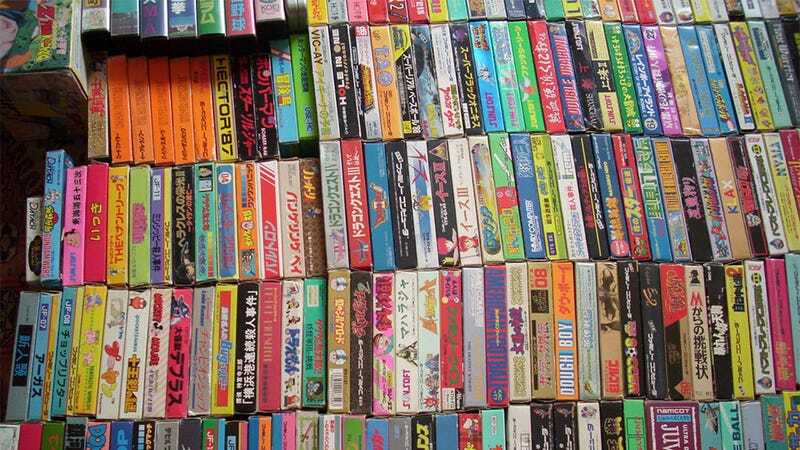 What Kind of Man Sells Over $1,000,000 Worth of Rare Video Games? This Kind of Man. A few days ago, an eBay auction offering thousands of video games was listed at over $1.2 million. An obscene figure, but when you consider it included the complete catalogues of every game released on the NES, SNES, N64, GameCube, Virtual Boy, Master System, Genesis, Saturn and Dreamcast (just to name a few), it seemed like there might be someone out there willing to actually buy it. Which was an interesting story, but what was more interesting were the motivations of the guy behind it. A man who, for over a decade, had amassed a collection of video games so extensive his eBay listing had enough pictures in it to crash a browser. Frenchman Andre began his collection - which he jokes he houses in a "bat cave" - as a joint endeavour with his twin brother around fifteen years ago, then took over as the sole curator around 2004-05 when his sibling dropped out. While you'd think a stash of games of this size must have crippled him financially, he says that's not the case. "I don't know how much it would have cost me, I never did the math as I bought", he told me. Most months he only picked up a few games, meaning that over the 15 years his collection grew "slowly but surely". Amazingly, the bulk of the games were obtained without Andre having to venture too far from home; aside from a trip to Japan in the late 90s where he grabbed a few titles, the rest were purchased either online or from retailers in France. His rarest game is a copy of bizarre Mega Drive title Go-Net, which with less than half a dozen verified copies is one of the most hard-to-find retail games on the planet.